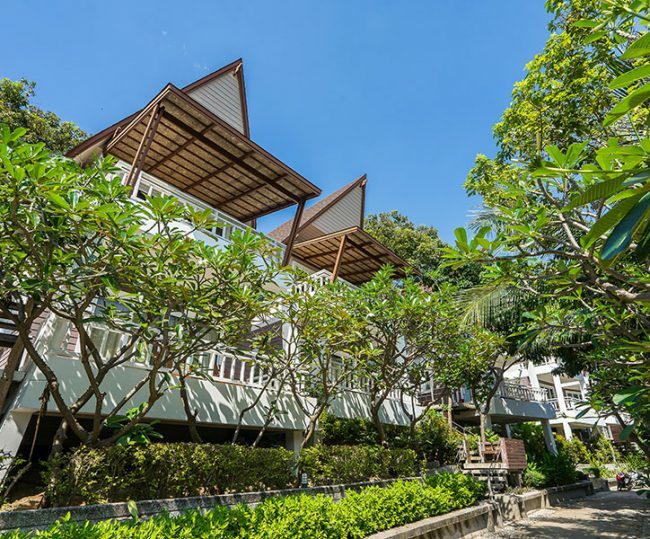 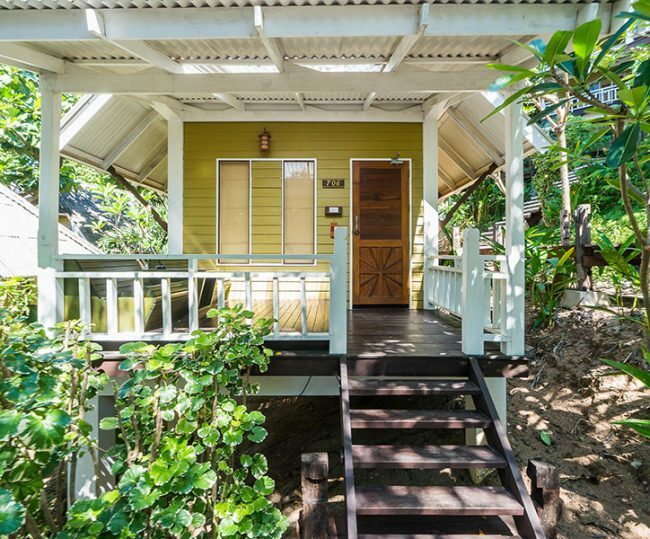 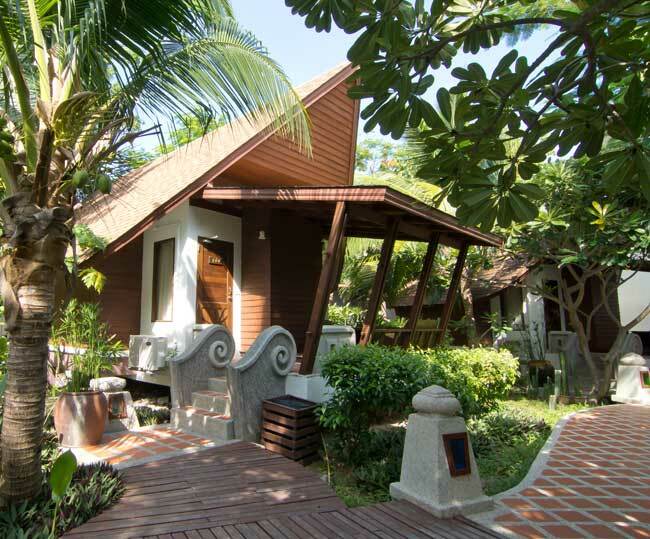 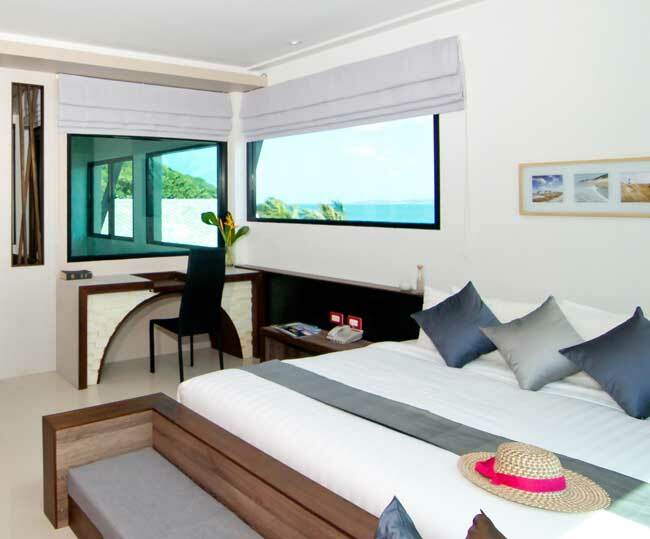 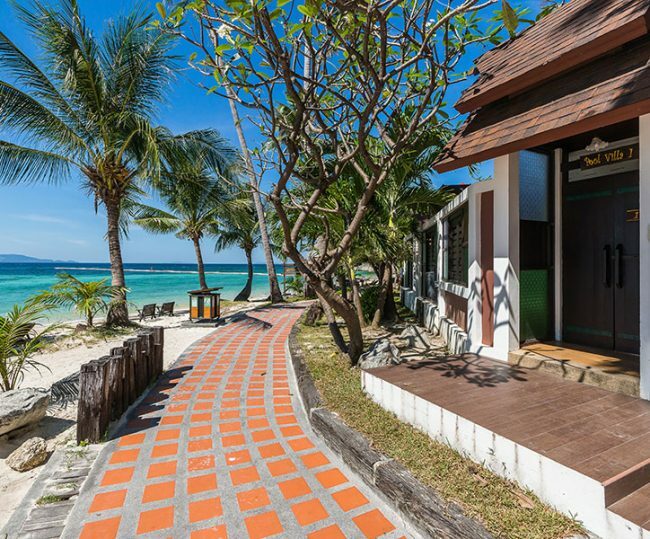 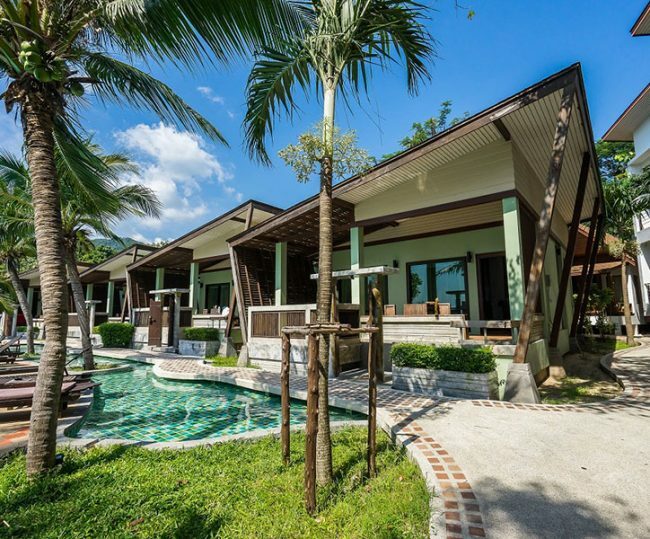 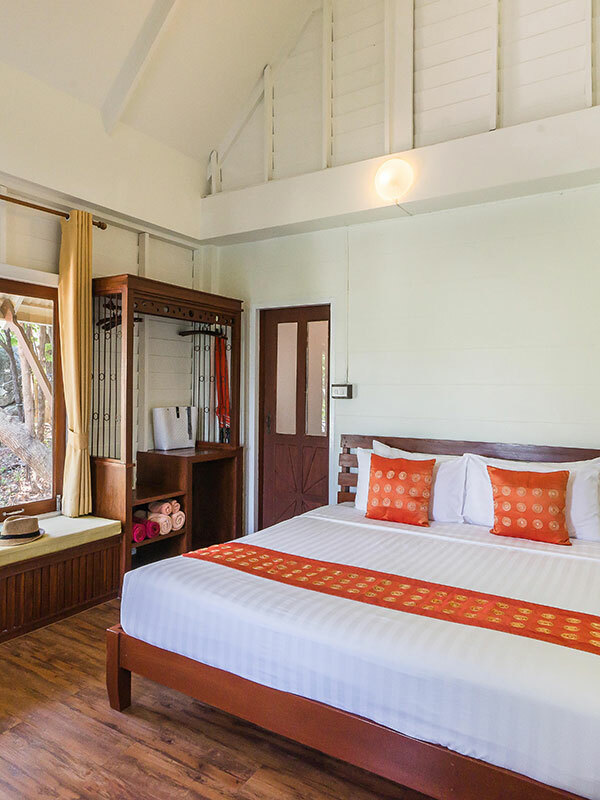 The colorful Hillside Bungalow offers magnificent views over the rainforest tree tops and azure blue sea beyond. 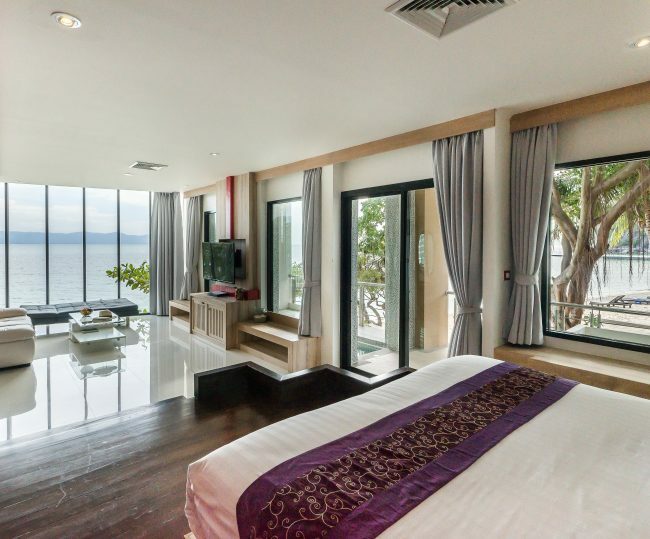 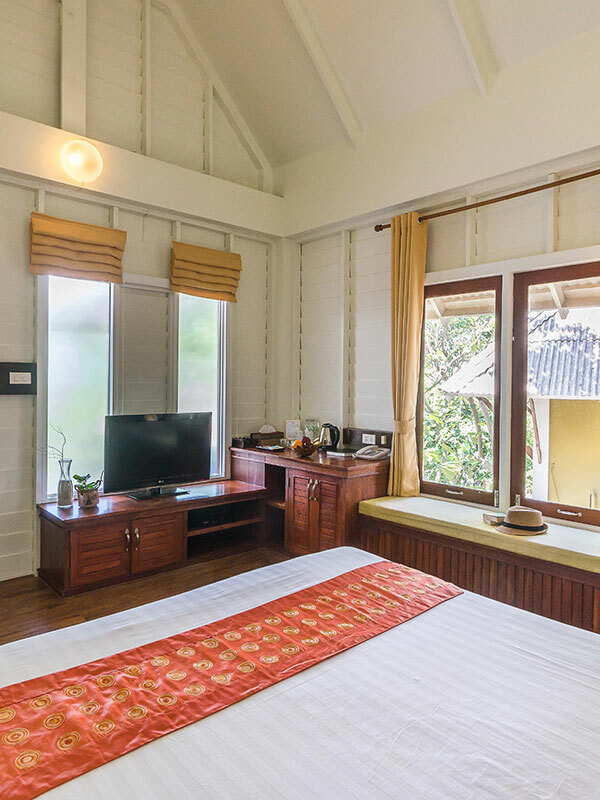 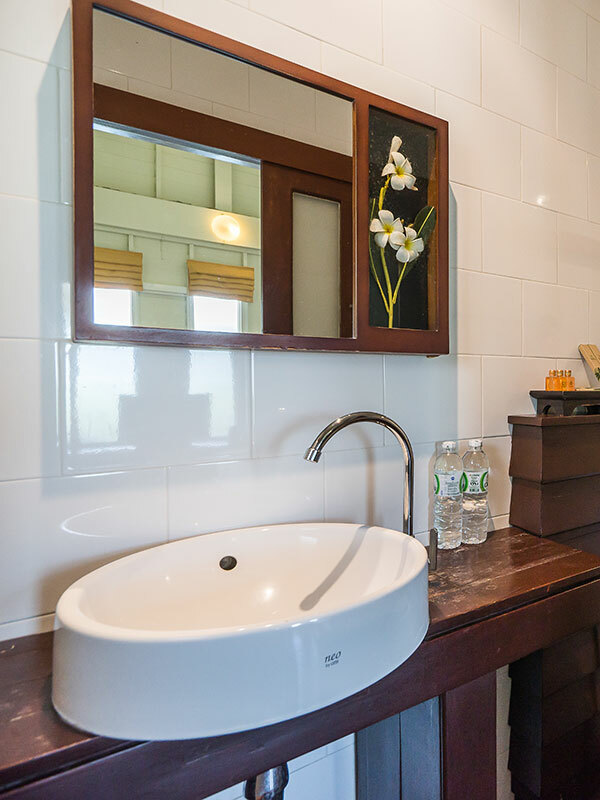 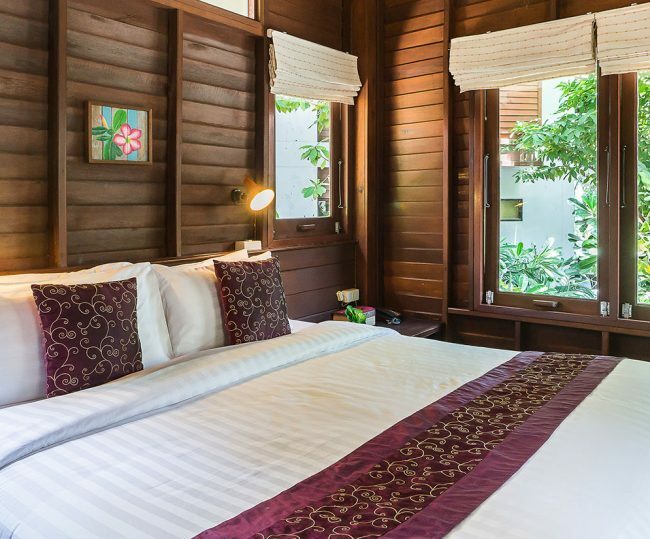 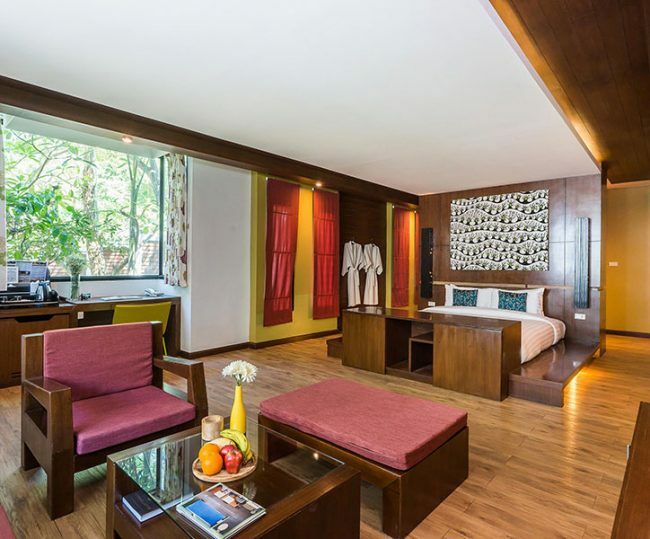 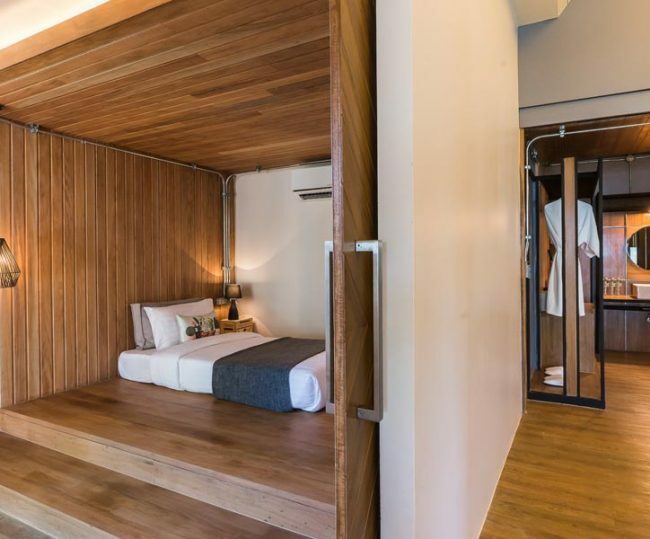 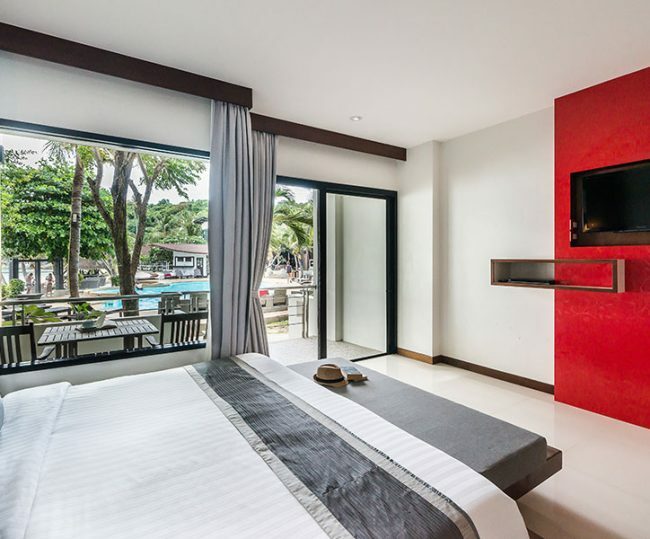 The bungalows feature a large covered sitting area at the front to enjoy the wonderful views of nature and the interiors are bright and contemporary in style offering 30sqm of living space. 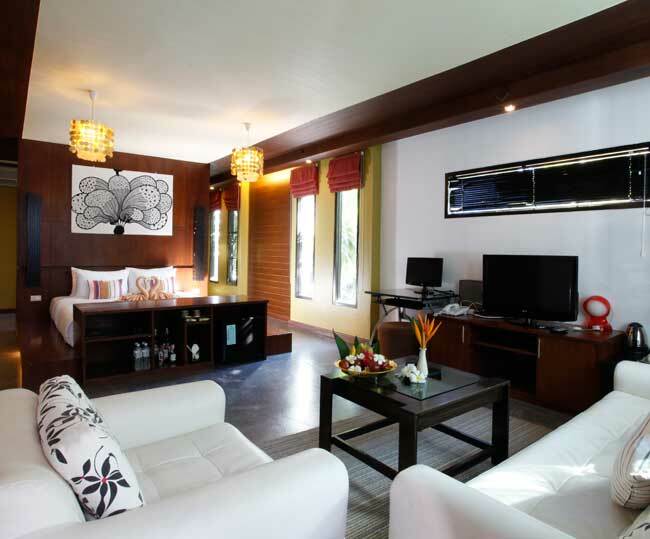 Relax with a range of modern comforts including a television, Wi-Fi and mini-bar.